Path of Miracles, a site-specific dance and music piece, at Wesley United Methodist Church (114 W. Broadway) on Friday, Jan. 25, at 7:30 p.m. The Velveteen Rabbit at the Page Theatre (Saint Mary’s Winona Campus) on Sunday, Jan. 27, at 3 p.m. School groups from around the area will also attend a performance on Monday, Jan. 28. ODC/Dance was founded in 1971 by Artistic Director Brenda Way. It was one of the first American companies to incorporate a post-modern sensibility (an appreciation for pedestrian movement) into a virtuosic contemporary dance technique and to commit major resources to interdisciplinary collaboration and musical commissions for the repertory. 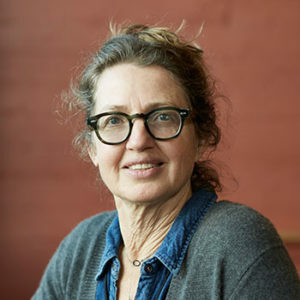 KT Nelson, ODC choreographer and co-artistic director. 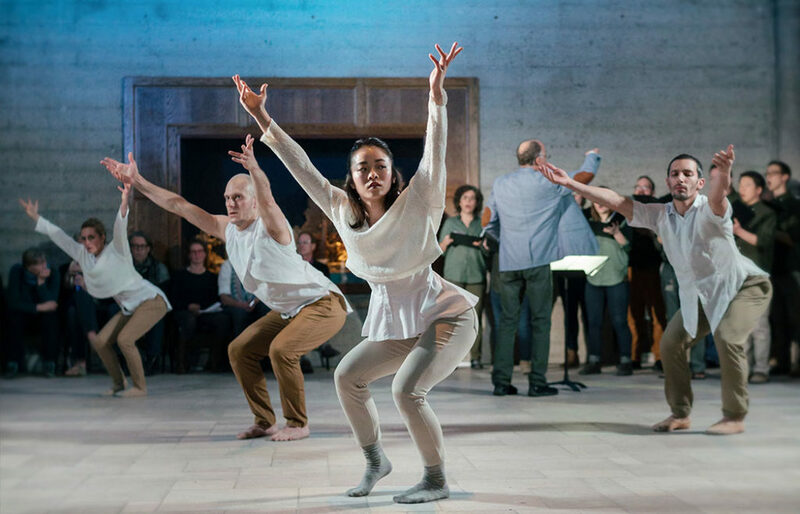 KT Nelson, ODC choreographer and co-artistic director, created Path of Miracles after being inspired by British composer Joby Talbot’s choral work of the same name. Inspired by the Camino de Santiago, an ancient pilgrimage route across Northern Spain to the shrine of Saint James, Path of Miracles utilizes four different locations within Wesley United Methodist to represent four major stops along the Camino. In 2016, Nelson walked the Camino to inform her artistic process, and the resulting work is an immersive dance and music experience that engages audience members throughout. For audience members, Path of Miracles takes dance out of the formal theatre setting and provides an up-close and personal way to watch and be a part of movement and music. The performance will feature live music performed by a choir of Minnesota’s leading vocal talent (alums of Minnesota Opera, the Picnic Operetta, Saint Paul Chamber Orchestra, and more) conducted by Dr. Kristina Boerger, John N. Schwartz professor of Choral Leadership and Conducting at Augsburg University. The Velveteen Rabbit, which Nelson originally created for her son, has become one of ODC’s iconic works. Performed for more than 30 years across the world, the 70-minute production shares Margery Williams’ classic tale of a well-worn nursery rabbit that becomes real. Along with narration and the music of Benjamin Britten, the whimsical production features vivid costumes, memorable characters, and even a magical fairy. Eight local children have been cast to dance alongside the professional company for this performance: Erica Beckman, Erin Burke, Ruth Civettini, Emmie Dammen, Isaac Meinke, Preston Meinke, Elina Skranka, and Iris Smith. These local dancers have rehearsed with area instructor Raina Racki throughout January and will join the company for a week of rehearsals before taking the stage. The production is appropriate for audiences ages 3 and older and includes an intermission. Children are encouraged to bring along their favorite stuffed animals for comfort and enjoyment during the performance. Thursday, Jan. 24, at 5:30 p.m. — the Page Series will present a Community Conversation at Wesley United Methodist Church. Discussing Path of Miracles as well as the work’s themes of connection and community will be Nelson, musician Sidney Chen, and members of the Winona community. Friday, Jan. 25, at 12:05 p.m. — Nelson will give a “Page in History” talk at the Winona County History Center (160 Johnson St.). The talk will explore Nelson’s experience walking the Camino de Santiago and how it informed her creative process for Path of Miracles. Saturday, Jan. 26, from 9 to 10:30 a.m. — Nelson will offer a composition class for intermediate and advanced dancers ages 13 and older. The class will be held at the Valéncia Arts Center (1164 W. Howard St.), in partnership with Minnesota Conservatory for the Arts. Registration is required at pagetheatre.org. Saturday, Jan. 26, at noon — the Page Series and the Winona Public Library will collaborate for a “Gathering at the Library” story time event featuring The Velveteen Rabbit as well as crafts inspired by the story. To learn more about each production, watch video previews, or order tickets, visit pagetheatre.org. Tickets and information are also available by calling the Performance Center box office at 507-457-1715 (noon to 6 p.m., weekdays). ODC/Dance Company’s 10 outstanding dancers perform its imaginative repertory for more than 50,000 people annually. In addition to two annual home seasons in San Francisco (Dance Downtown and the beloved holiday production, The Velveteen Rabbit), past highlights include numerous appearances at the Joyce Theater in New York, sold out performances at the Kennedy Center, standing room only engagements in Europe and Russia, and two USIA tours to Asia. In 46 years, ODC/Dance has performed for more than a million people in 32 states and 11 countries, with support from the NEA, the U.S. State Department, and many state and city arts agencies. The company has been widely recognized for its rigorous technique and its numerous groundbreaking collaborations with, among others, composers Marcelo Zarvos, Bobby McFerrin, Zoë Keating, Zap Mama, Pamela Z, Jay Cloidt, and Paul Dresher; writer/singer Rinde Eckert; actors Bill Irwin, Geoff Hoyle, and Robin Williams; visual artists Andy Goldsworthy, Wayne Thiebaud, Jim Campbell, and Eleanor Coppola; and welder/bike designer Max Chen. Path of Miracles is presented in partnership with Wesley United Methodist Church and in collaboration with the Charles Wesley Center of Sacred Music and Arts.